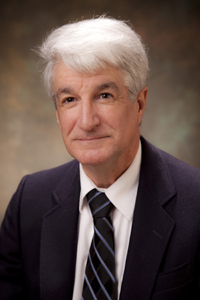 Northeast Georgia Physicians Group (NGPG) welcomes internal medicine physician Georges Lafleur, MD, FRCP to the group. With the edition of Dr. Lafleur, NGPG is now accepting patients at two locations in the Clayton area. Dr. Lafleur will see patients at the new NGPG Clayton II office located at 773 North Main Street, and Tod Bethea, MD, a family medicine physician with NGPG Clayton will continue to see patients at his current location at 536 Highway 441. Dr. Lafleur has practiced internal medicine in the Clayton area since 2003. He received his medical degree from the Universite de Montreal and completed his internal medicine residency at Hospital St-Luc in Montreal. Dr. Lafleur is trilingual, fluent in English, French and Spanish. He is board certified in internal medicine and is a Fellow of the Royal College of Physicians and Surgeons of Canada (FRCP). NGPG Clayton II is an internal medicine office that provides routine and preventive health evaluations, immunizations, same-day appointments, EKG, physicals, and laboratory services. For more information visit www.ngpg.org or call 706-212-0180 to schedule appointments.